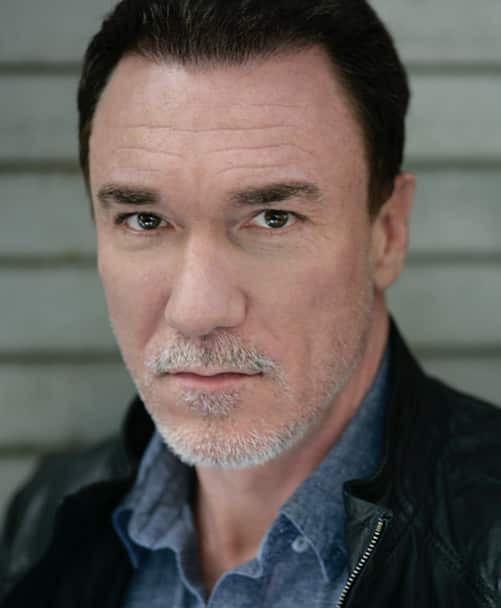 Patrick Page is one of the most gifted and versatile actors working on today’s stage and screen. You may have seen Patrick on Broadway as Norman Osborn aka The Green Goblin in Spider-Man, Turn Off the Dark, Valentina in Casa Valentina, Rufus Buckley in A Time to Kill, The Adult Men in Spring Awakening, De Guiche in Cyrano De Bergerac, Henry VIII in A Man for All Seasons, The Grinch in How the Grinch Stole Christmas, Decius Brutus in Julius Caesar, Scar in The Lion King, Lumiere in Beauty and the Beast, or in multiple roles in The Kentucky Cycle. Patrick’s television credits include The Good Wife, Elementary, Flesh and Bone, Law and Order SVU, and many others. Patrick is the founder of The Patrick Page Acting Studio in New York City where he teaches on an ongoing basis. In addition to the Studio, he’s taught acting and Shakespeare at the NYU Graduate Actor Training Program/Tisch School of the Arts, The Shakespeare Lab, The Academy of Classical Acting, The Broadway Theatre Project, The Alabama Shakespeare Festival MFA Program, Southern Utah University, Emporia State University, Whitman College and many others. Patrick is also a playwright. His play Swansong, which premiered at The Lucille Lortel White Barn Theatre in Westport, was nominated for Best New Play by The American Theatre Critics’ Association. He is currently working on a musical called Grand Illusion. Patrick is also a magician, honored by The International Brotherhood of Magicians as the “Best Teen Illusionist” at their annual convention in 1979. He’s also the recipient of The Helen Hayes Award, The William Shakespeare Award for Classical Theater, The Emery Battis Award, The Princess Grace Award in Theatre, The Princess Grace Statue for Sustained Achievement, The Matador Award for Classical Acting, The Joseph Jefferson Award, and the Utah Governor’s Medal for the Arts. Patrick is married to actress and Trading Spaces host, Paige Davis, one of our favorite StoryBeat guests, who also sat in on this session. Please check out Paige’s excellent StoryBeat episode. We wondered what had happened to the unbelievable Whitman talent of Loomer & Page. Congratulations to you on a fantastic career – that clearly continues! Hope you make it back to Seattle sometime – we’ll be watching for your next play here! Thanks very much for listening to StoryBeat. We have passed your comment along to Patrick Page.